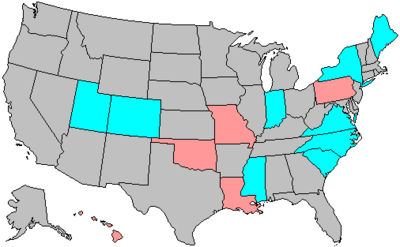 The 1986 United States House of Representatives elections was held on November 4, 1986, in the middle of President Ronald Reagan's second term in office while he was still relatively popular with the American public. As in most midterm elections, the President's party—in this case, the Republican Party — lost seats, with the Democratic Party gaining a net of five seats and cementing its majority. These results were not as dramatic as those in the Senate, where the Republicans lost control of the chamber to the Democrats. Notable freshmen include future House Speaker Dennis Hastert (R-IL), future Senators Jon Kyl, Ben Nighthorse Campbell, Jim Bunning, Ben Cardin, Jim Inhofe, and Tim Johnson, former Governor of Maine Joseph E. Brennan, future Secretary of Agriculture Mike Espy, future Administrator of the Small Business Administration Pat Saiki, and former Chairman of the Student Nonviolent Coordinating Committee John Lewis. New York 6 Joseph P. Addabbo Democratic Incumbent died April 10, 1986. New member elected June 10, 1986. Hawaii 1 Cec Heftel Democratic Incumbent resigned July 11, 1986 to campaign for Governor of Hawaii. New member elected September 20, 1986. Alabama 7 Richard Shelby Democratic 1978 Incumbent retired to run for U.S. Senator. Arizona 4 Eldon Rudd Republican 1976 Incumbent retired. California 2 Eugene A. Chappie Republican 1980 Incumbent retired. California 12 Ed Zschau Republican 1982 Incumbent retired to run for U.S. Senator. California 21 Bobbi Fiedler Republican 1980 Incumbent retired to run for U.S. Senator. Colorado 2 Tim Wirth Democratic 1974 Incumbent retired to run for U.S. Senator. Colorado 3 Michael L. Strang Republican 1984 Incumbent lost re-election. Colorado 5 Ken Kramer Republican 1978 Incumbent retired to run for U.S. Senator. Florida 2 Don Fuqua Democratic 1962 Incumbent retired. Georgia 5 Wyche Fowler Democratic 1977 Incumbent retired to run for U.S. Senator. Illinois 4 George M. O'Brien Republican 1972 Incumbent retired. Illinois 14 John E. Grotberg Republican 1984 Incumbent retired. Indiana 5 Elwood Hillis Republican 1970 Incumbent retired. Iowa 3 T. Cooper Evans Republican 1980 Incumbent retired. Iowa 6 Berkley Bedell Democratic 1974 Incumbent retired. Kentucky 4 Gene Snyder Republican 1966 Incumbent retired. Louisiana 6 Henson Moore Republican 1974 Incumbent retired to run for U.S. Senator. Louisiana 7 John Breaux Democratic 1972 Incumbent retired to run for U.S. Senator. Louisiana 8 Catherine Small Long Democratic 1985 Incumbent retired. Maine 1 John R. McKernan Jr. Republican 1982 Retired to run for run for Governor of Maine. Maryland 3 Barbara Mikulski Democratic 1976 Incumnent retired to run for U.S. Senator. Maryland 4 Marjorie Holt Republican 1972 Incumbent retired. Maryland 7 Parren Mitchell Democratic 1970 Incumbent retired. Maryland 8 Michael D. Barnes Democratic 1978 Incumbent retired to run for U.S. Senator. Massachusetts 8 Tip O'Neill Democratic 1952 Incumbent retired. Mississippi 2 Webb Franklin Republican 1982 Incumbent lost re-election. Missouri 2 Robert A. Young Democratic 1976 Incumbent lost re-election. Nevada 1 Harry Reid Democratic 1982 Incumbent retired to run for U.S. Senator. New York 1 William Carney Republican 1978 Incumbent retired. New York 30 Fred J. Eckert Republican 1984 Incumbent lost re-election. New York 34 Stan Lundine Democratic 1976 Retired to run for run for Lieutenant Governor of New York. North Carolina 3 Charles Orville Whitley Democratic 1976 Incumbent retired. North Carolina 4 Bill Cobey Republican 1984 Incumbent lost re-election. North Carolina 10 James T. Broyhill Republican 1962 Incumbent resigned when appointed U.S. Senator. North Carolina 11 Bill Hendon Republican 1984 Incumbent lost re-election. Ohio 8 Tom Kindness Republican 1974 Incumbent retired to run for U.S. Senator. Ohio 14 John F. Seiberling Democratic 1970 Incumbent retired. Oklahoma 1 James R. Jones Democratic 1972 Incumnent retired to run for U.S. Senator. Oregon 4 Jim Weaver Democratic 1974 Incumbent retired to run for U.S. Senator. Pennsylvania 7 Robert W. Edgar Democratic 1974 Incumbent retired to run for U.S. Senator. South Carolina 1 Thomas F. Hartnett Republican 1980 Retired to run for Lieutenant Governor of South Carolina. South Carolina 4 Carroll A. Campbell Jr. Republican 1978 Retired to run for Governor of South Carolina. South Dakota at-large Tom Daschle Democratic 1978 Incumbent retired to run for U.S. Senator. Texas 21 Tom Loeffler Republican 1978 Retired to run for Governor of Texas. 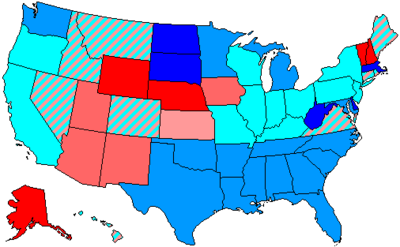 Utah 2 David Smith Monson Republican 1984 Incumbent retired. Virginia 2 G. William Whitehurst Republican 1968 Incumbent retired. This page was last edited on 15 March 2019, at 15:17 (UTC).